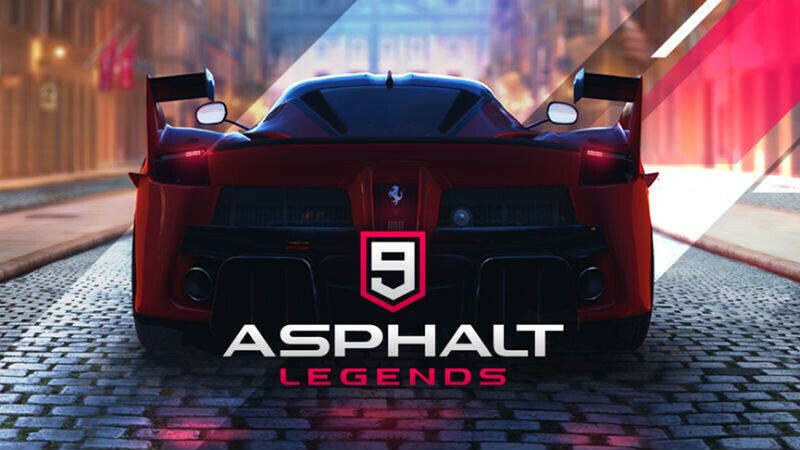 The newest edition of one of the most popular arcade phone racing games of all time has arrived: you can now officially download the newest Asphalt 9 Legends on Android and iOS, and the game is free to play. You can find the download links below, just keep in mind that the game is rather big at 1.53GB and you need to make sure you are on a good connection. This time around, Gameloft says that you get a console experience on your mobile device with Asphalt 9 and while we won't go as far as console-grade, we can attest that the graphics indeed look very nice. The game starts with a trailer and a quick training video featuring a red hot Ferrari, and then gets you started with a Mitsubishi Lancer that you can customize and upgrade. Win races and score achievements to unlock newer and more powerful cars. Elements like the drift to refill your nitro are key in the gameplay, but this time around it seems that we have less control over the car as there is a new TouchDrive system in place where you swipe left and right to select your position on the road, rather than using full manual controls. Acceleration and turning are automatic. All of this makes the game feel a bit more like an interactive movie rather than a manual racing game, but it is one spectacular movie to watch. And of course, while the game is free to download, it's packed with in-app purchases. It's still too early to tell how well (or rather, how annoying) in-app purchases are implemented, but we'll be testing playing to find out in the coming days. Keep in mind that on the iOS side of things, you would need an iPad mini 2 or later or an iPhone 5s and later to be able to play. Also, the game is always online, in case you were wondering. So i would always have to stay connected to wifi to play? Annoying! What Wifi are you using, a Hotspot to Jio? Lol Get a broadband man. I have broadband. What makes you think I use Jio or something like that? And what does all that have to do with my comment?? Quite a peculiar question to ask. And to answer it himself, even. You cannot have a broadband connection when you are travelling, you need to depend on mobile betwork. That is online to play. None of the games I have need online connection. I'll wait for another better racing game. Such a stupid, limited game. I just tried it and I must say, this is the reason why nobody takes mobile gaming seriously.